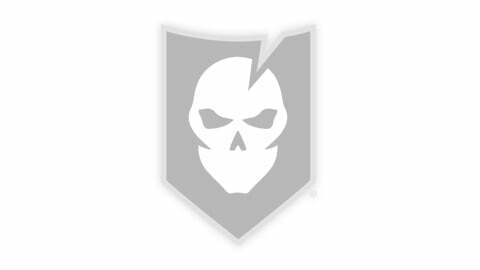 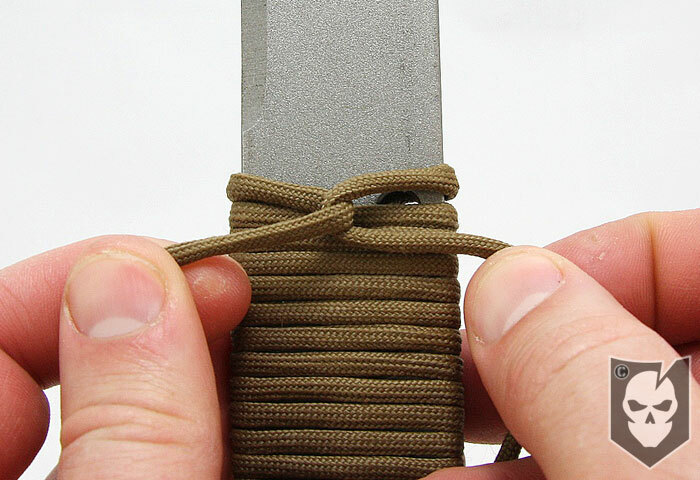 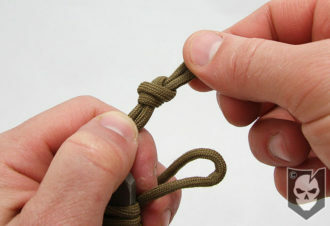 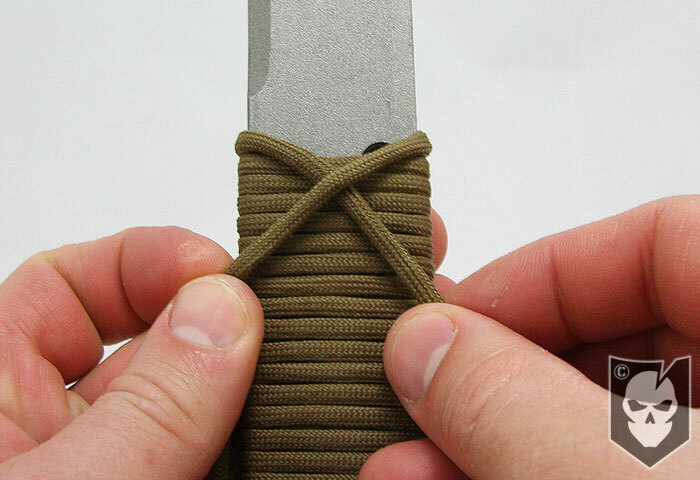 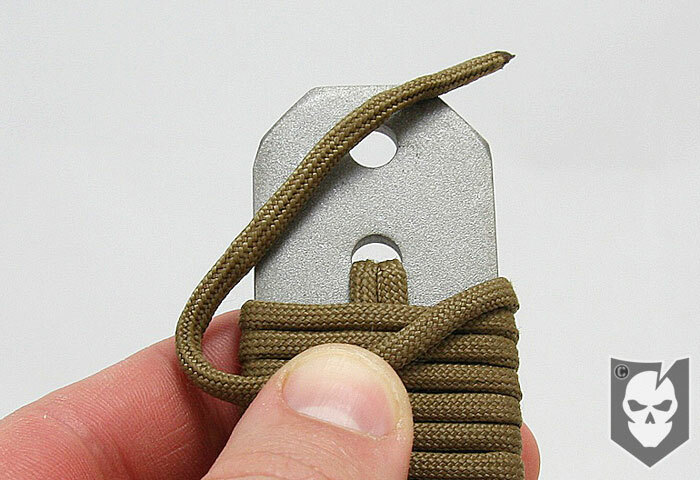 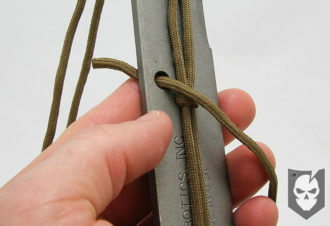 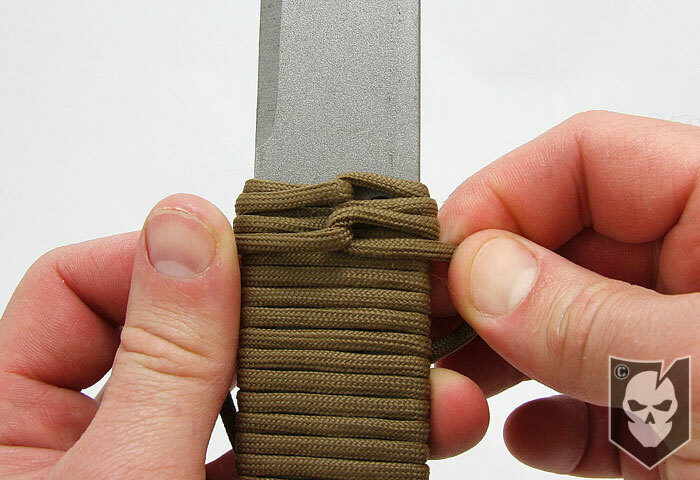 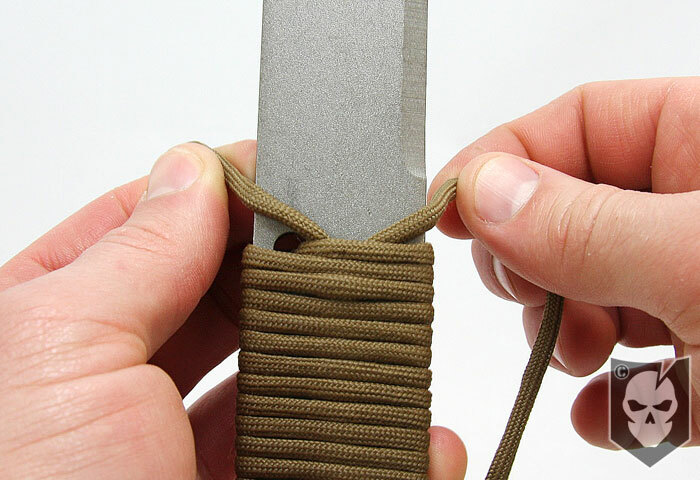 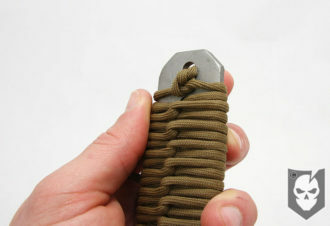 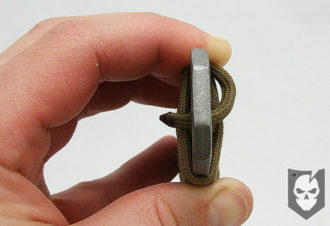 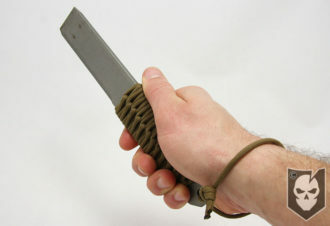 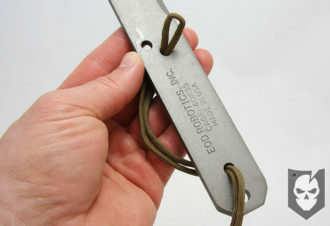 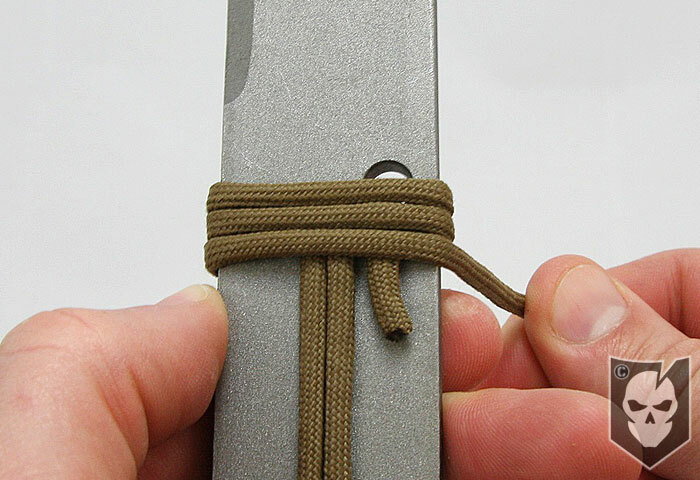 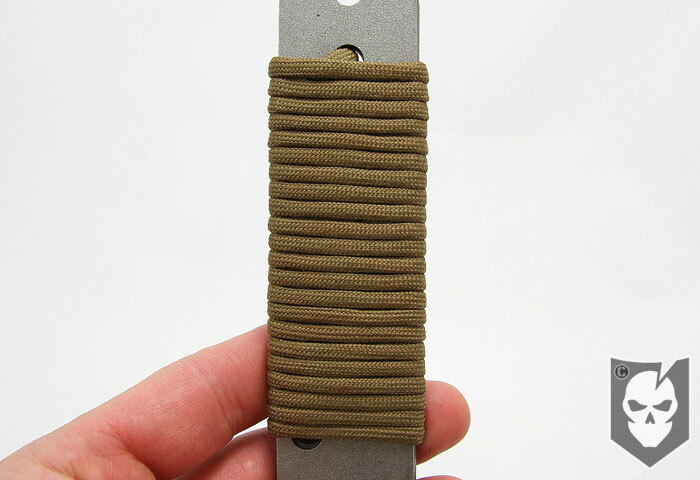 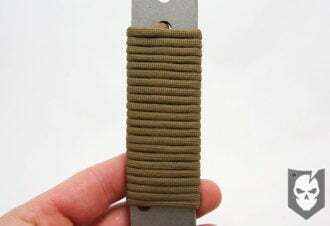 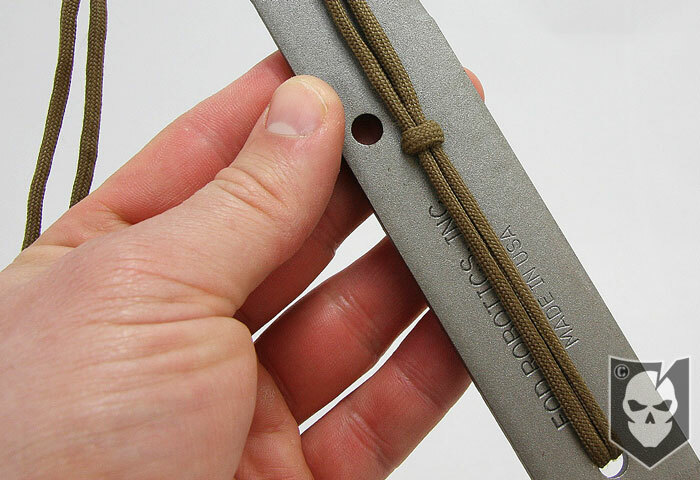 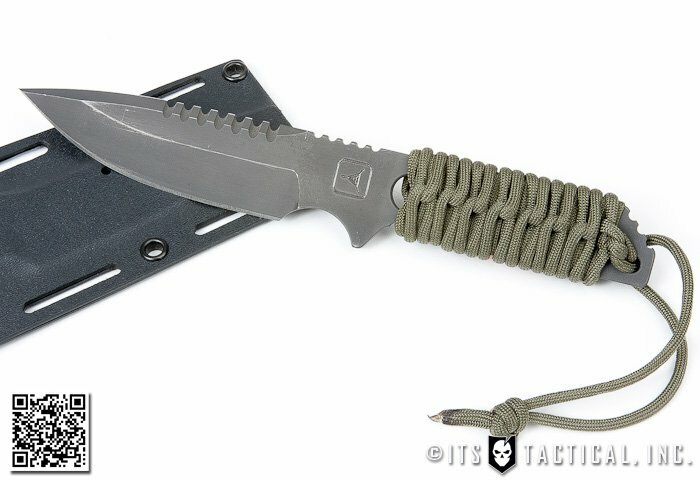 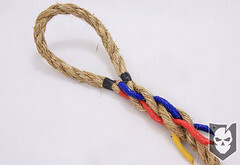 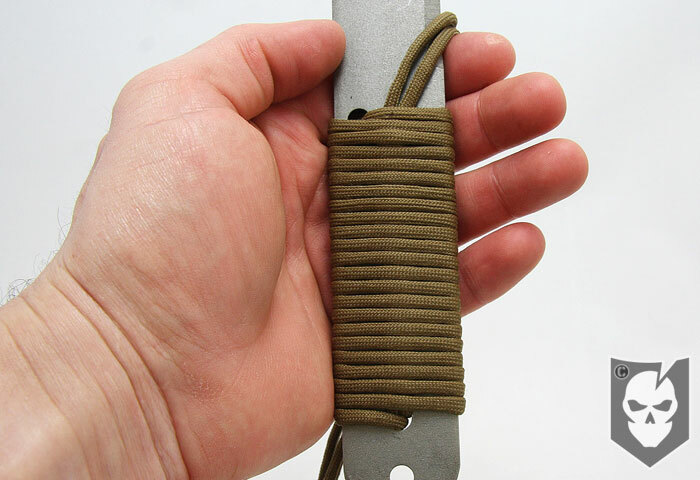 Ever wonder how to achieve the cool technique that Strider uses to wrap their knife handles with paracord? 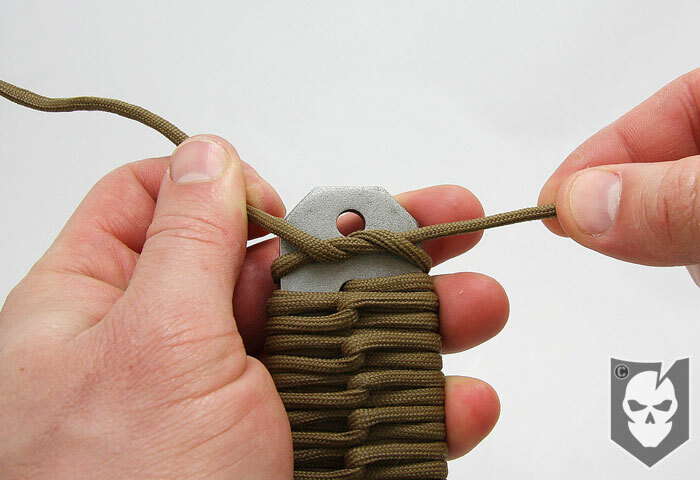 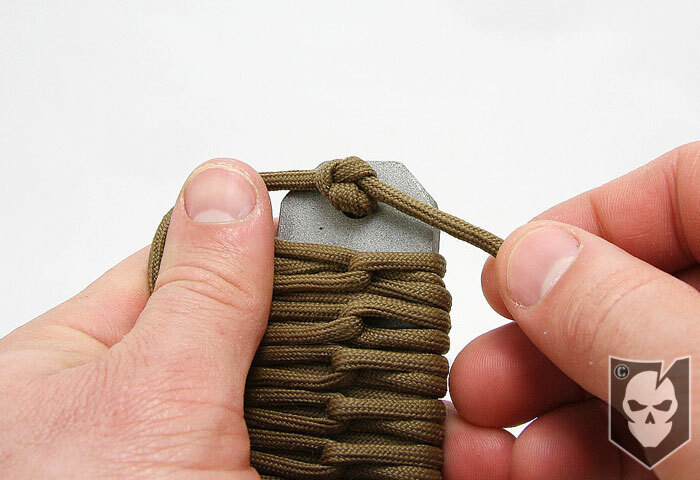 On this week’s Knot of the Week we’ll show you exactly how to wrap a handle with this method, using a County Comm EOD Breacher Bar, a breaching tool for prying, cutting and pounding. 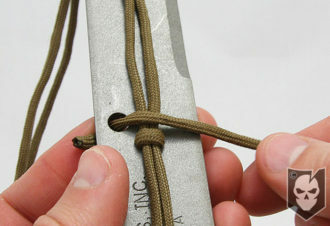 You can apply this wrapping principle to just about anything you want to. As you’ll see in our demonstration, we’ll take advantage of the four holes that the Breacher Bar offers to aid in securing the wrapping. These holes are not mandatory though, and you can adapt this to any knife / handle you’d like. It is, however, handy to have a vise to hold your knife while you wrap the outer layer of the pattern. In fact, its almost mandatory, as without a tight wrap on this section it may loosen up with use. This paracord wrapping will require two separate lengths of 550. 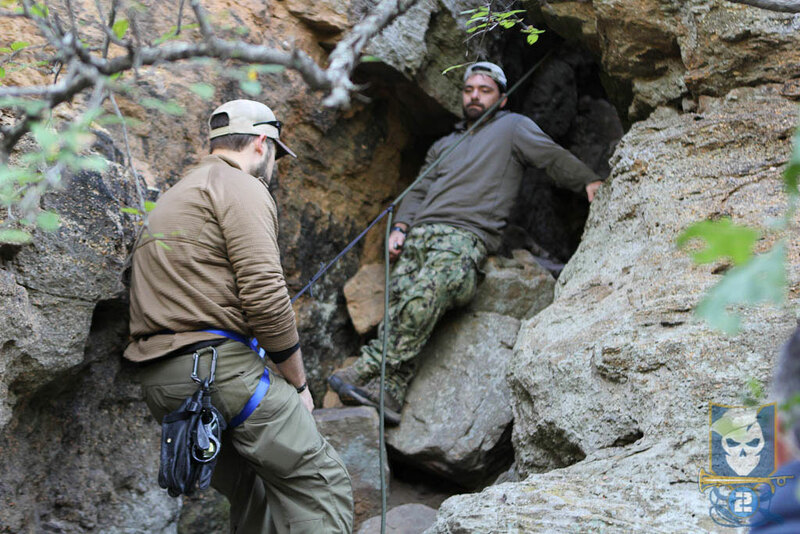 One being 120″ and another right around 70″. 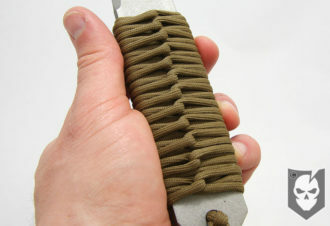 So another cool thing about this wrapping is that you’ll have nearly 16 feet of paracord at your disposal should you need it. 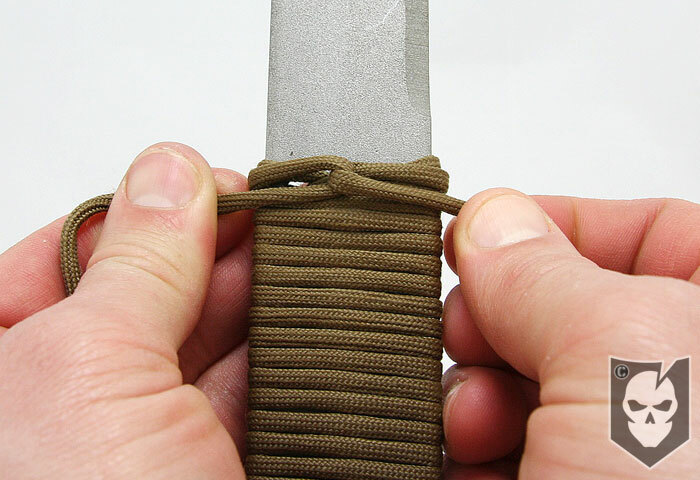 The inner wrapping (the 70″ piece of 550) can also be gutted to give your grip a thinner profile. If you’re wrapping a knife with this method, do yourself a favor and tape the blade up so you don’t get cut. 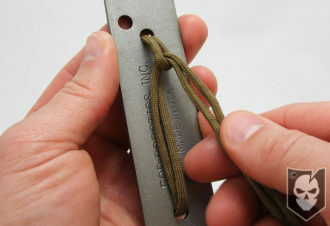 It will also prevent your knife from getting scratched up in the vise if you don’t have rubber jaws.